Combination immunotherapy shrank melanoma that has spread to the brain in more than half of the patients in a clinical trial reported in the New England Journal of Medicine led by an investigator at The University of Texas MD Anderson Cancer Center. Of 94 patients in the single-arm study combining checkpoint inhibitors ipilimumab and nivolumab, at a minimum follow-up of nine months and a median of 14 months, 24 (26 percent) had a complete response, 28 (30 percent) had a partial response and 2 (2 percent) had stable disease. 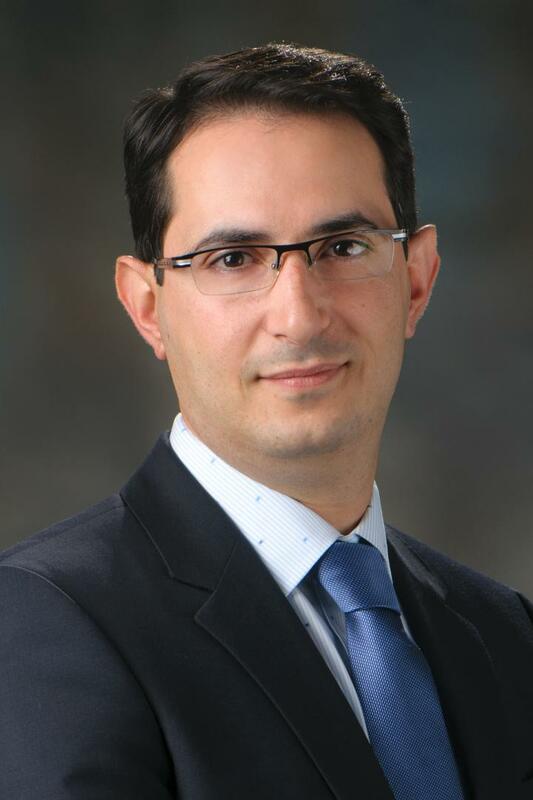 "As treatment for stage 4 melanoma has improved greatly in recent years, our patients with metastases to the brain have remained the group most in need, they've had the worst prognosis, so we are very excited about these results," said the national study's principal investigator and lead author Hussein Tawbi, M.D., Ph.D., associate professor of Melanoma Medical Oncology at MD Anderson. "This practice-changing study proved that you can start with immunotherapy first with these patients, tackling both brain and extracranial disease at the same time," Tawbi said. "And it opens up new opportunities for development of systemic therapies for metastatic melanoma." About 40 percent of patients with stage 4 melanoma have brain metastases at diagnosis, and 75 percent eventually develop the condition, which previously was so intractable to treatment that these patients were routinely excluded from clinical trials of new drugs. Median overall survival of patients with brain metastases has been four to five months. At nine months, 59.5 percent of patients with brain tumors had not progressed. "The absence of progression for that long with brain metastases is huge," Tawbi said. "Historically, the overall one-year survival rate for patients with brain metastases is less than 20 percent, with the immunotherapy combination in this study, it's 82 percent." Tawbi and colleagues note in the paper that the immunotherapy combination results should cause reconsideration of the current standard of care for brain metastases: surgery or targeted radiation for a small number of tumors and whole-brain radiation for more extensive disease. Stereotactic radiation is quite effective when used to treat small metastases before immunotherapy can begin, Tawbi says, with a four-week wait between treatments. What often occurs, he says, is the original metastases are destroyed but others arise during the four weeks, further delaying systemic treatment. ""We've shown you don't have to wait for radiation, you can initiate immunotherapy early for all patients and expect the tumors in the brain to respond as well as those outside the brain," he said. "Current efforts focus on adding radiation at the right time for lesions that have not responded or progress. Neurosurgeons, radiation oncologists and medical oncologists will continue to work together to recommend the best initial approach for our patients and the best timing for subsequent treatments as needed." For tumors outside the brain, 56.4 percent of study patients had their tumors either shrink or remain stable. Nine-month progression-free survival was 56.6 percent. Median progression-free and overall survival have not been reached. All patients were treated with ipilimumab, which blocks the CTLA-4 checkpoint on T cells, in combination with nivolumab, which inhibits activation of the PD1 checkpoint. Both checkpoints otherwise shut down T cells and thus block the anti-tumor immune response. Patients in the trial had untreated brain metastases that also had not caused neurological symptoms, such as impaired thinking, vision or memory. A second arm added to the trial to enroll 20 patients who had neurological symptoms had not been open long enough to analyze the results. Historically, one reason patients with brain metastases had been excluded from clinical trials is that the blood-brain barrier, tight vascular construction, prevents drugs from reaching tumors. Since immunotherapy empowers T cells rather than treating tumors directly, the immune system cells can defeat the barrier, but there were concerns about immune-related side effects. "We were quite concerned going into the study about immunotherapy causing inflammation and swelling in the brain, so this was closely monitored," Tawbi said. "In the end, only 5 percent of patients had swelling in the brain." Overall, 34 patients (36.2 percent) had some type of central nervous system side effect, with headache being the most prominent, experienced by 21 patients. Seven of the 34 patients had the more serious grade 3 or 4 toxicities – three headaches, two with brain swelling, one with a brain hemorrhage and one with syncope (a loss of consciousness). The side effect profile was otherwise similar to those caused by the combination in patients without brain metastases. Fifty-two patients (55 percent) had a grade 3 or 4 side effect, with 19 patients (20 percent) having to leave the trial. One patient died of treatment-related inflammation of the heart. The most common grade 3 or 4 side effects were increased alanine aminotransferase in 15 patients and increased aspartate aminotransferase in 16 patients, both signs of potential liver damage. Previous small studies showed that either ipilimumab or anti-PD1 drugs alone had response rates of around 20 percent in brain metastases. A smaller Australian study showed a 46 percent response rate for the combination. An earlier clinical trial of combination targeted therapies, also led by MD Anderson investigators, showed high response rates for brain metastases but at shorter durations, with median progression-free survival of 5.8 months. "Including these patients in clinical trials will accelerate progress for this patient population," Tawbi said. The clinical trial was sponsored by Bristol-Myers Squibb, which developed and markets both drugs. Tawbi reports receiving past research funding for MD Anderson and consulting fees from Bristol-Myers. Potential conflicts of interest for all authors are listed at the New England Journal of Medicine web site.